Madison, Tenn., Lodge No. 2473 used its Community Investments Program Gratitude Grant to make sure students have everything they need for a successful school year. 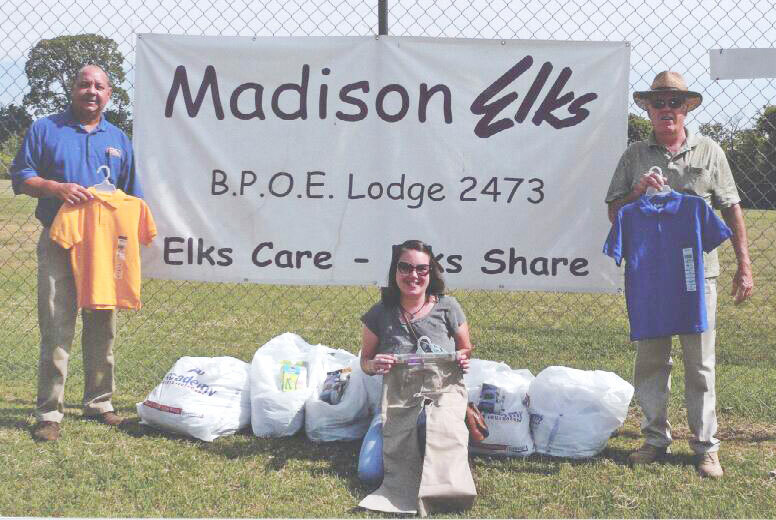 Elks partnered with local schools to purchase clothes for students in need, which will be distributed throughout the year. “Community Investments Program grants really heighten the awareness of the Elks' work in the community and spread good will toward the members,” says Project Manager Randall Vaughn. The ENF awards $2,000 Gratitude Grants to Lodges to directly address local needs. Lodges are eligible to apply for Gratitude Grants after meeting the GER’s per-capita goal. To find out more about Gratitude Grants and the Community Investments Program, visit www.elks.org/enf/community.